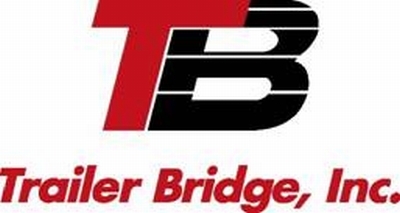 » Listings » Logistics Service Providers - 3PL » Trailer Bridge, Inc. Single Carrier Responsibility Trailer Bridge is the first carrier to employ its own drivers and operate its own trucks, equipment, vessels, and marine facilities. This single carrier responsibility allows for greater control of the entire transportation process. Weâ€™re on the road, and your products are on their way without delay. As a U.S. Flag (Jones Act) carrier, Trailer Bridge provides multiple weekly U.S. Flag sailings between Jacksonville, Florida, and San Juan, Puerto Rico, weekly sailings between Jacksonville, Florida, and the Dominican Republic, as well as weekly inter-island service between Puerto Rico and the Dominican Republic. Our customers depend on Trailer Bridge to deliver many of the products that sustain and drive the Puerto Rico and Dominican Republic economies â€“ from foodstuffs and furniture, to appliances and automobiles and everything in between. For Puerto Rico and Dominican Republic industries, we transport materials for manufacturing and return finished goods to the U.S.
Our innovative processes have brought the efficiencies of larger, high-cube equipment to the markets we serve. By utilizing a fleet of primarily 53-foot by 102-inch high-cube equipment, along with single carrier door-to-port service, we are able to provide increased value to our customers.